The cinema of the festive season has blazed a trail through the world of film-making for more than a century, ranging from silent movies to the latest CGI features. From the author of The Christmas Movie Book, this new text explores the different narrative themes which emerged in the genre over the course of the 1980s, considering the developments which have helped to make the Christmas films of that decade amongst the most fascinating and engaging motion pictures in the history of festive movie production. Released against the backdrop of a turbulent and rapidly-changing world, the Christmas films of the 1980s celebrated traditions and challenged assumptions in equal measure. With warm nostalgia colliding with aggressive modernity as never before, the eighties saw the movies of the holiday season being deconstructed and reconfigured to remain relevant in an age of cynicism and innovation. Whether exploring comedy, drama, horror or fantasy, Christmas cinema has an unparalleled capacity to attract and inspire audiences. 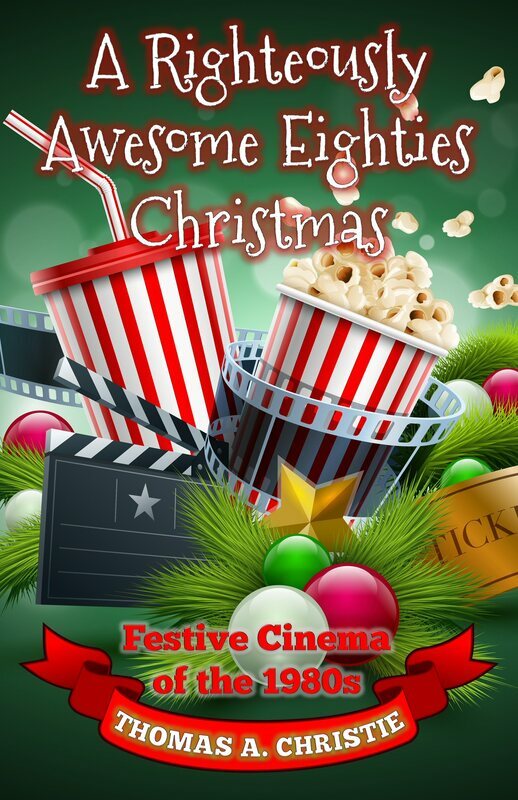 With a discussion ranging from the best-known titles to some of the most obscure, A Righteously Awesome Eighties Christmas examines the ways in which the Christmas motion pictures of the 1980s fit into the wider context of this captivating and ever-evolving genre. This book discusses seventeen Christmas films from the 1980s, including Christmas Evil (Lewis Jackson, 1980), To All a Goodnight (David Hess, 1980), Trading Places (John Landis, 1983), A Christmas Story (Bob Clark, 1983), Merry Christmas, Mr Lawrence (Nagisa Oshima, 1983), Don't Open Till Christmas (Edmund Purdom, 1984), Comfort and Joy (Bill Forsyth, 1984), Gremlins (Joe Dante, 1984), Silent Night, Deadly Night (Charles E. Sellier Jr., 1984), One Magic Christmas (Phillip Borsos, 1985), Santa Claus: The Movie (Jeannot Szwarc, 1985), Better Off Dead (Savage Steve Holland, 1985), Scrooged (Richard Donner, 1988), Ernest Saves Christmas (John Cherry, 1988), Die Hard (John McTiernan, 1988), Prancer (John Hancock, 1989), and National Lampoon's Christmas Vacation (Jeremiah Chechik, 1989). An additional chapter is included which details some of the other festive cinema of the decade, along with a filmography, bibliography and index. Some unforgettable cinema was produced throughout the 1980s, and Christmas movies were no exception. After a slowdown in production of big-screen festive features throughout the sixties and seventies, suddenly the genre was to burst into the public consciousness with renewed vigour. During a decade of prolific Christmas film releases, the conventions which had been laid down during the glory days of the 1940s and '50s would be re-examined, deconstructed, subverted, parodied and ultimately celebrated as never before. A Righteously Awesome Eighties Christmas charts the boom in festive movie production throughout the 1980s, examining some of the subgenres which rose to prominence at the time such as Christmas horror features, satirical comedies, romantic dramas, teen movies, and even action films with a yuletide setting. The imaginativity and dexterity of film-makers' approaches throughout the decade would have wide-ranging creative ramifications which have continued to have an effect on Christmas cinema in the years since. The eighties marked a unique period for film production in general, and this book was written with the intention of exploring just how popular and influential the Christmas films of the eighties have proven to be. Considering the innovative qualities of these movies along with the ways in which they were often shaped by expectations established in the genre's golden age, I was keen to provide an account of the decade's cinematic releases which discussed the reasons why some of these festive features have become audience favourites while others have since disappeared into relative obscurity.